Free Case Study: Learn how five top tier banks increased their STP and streamlined customer experience through payment validation. Correcting failed payments is a major priority for banks, with many keen to focus on improving straight-through processing (STP). 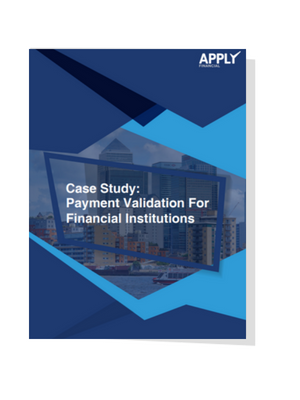 Apply Financial surveyed five banking customers to find out how easy it was to implement a Payment Validation API, as well as the results they’ve achieved. and ensured a better customer experience for their users. Please fill in the form to get your free copy today!